Physical activity associated with active transportation. 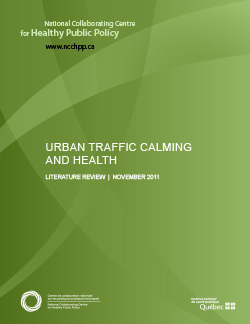 Traffic calming is a manner of intervening in the built environment that appears to offer significant potential as a way to improve population health, and the evaluative literature is sufficiently abundant to require a literature review. This review will also facilitate comparison of the two approaches to traffic calming: the black-spots approach and the area-wide approach.